Nohoanu has delicate pink, purple or white flowers in clusters of up to 50 and leaves that are often tinged red. 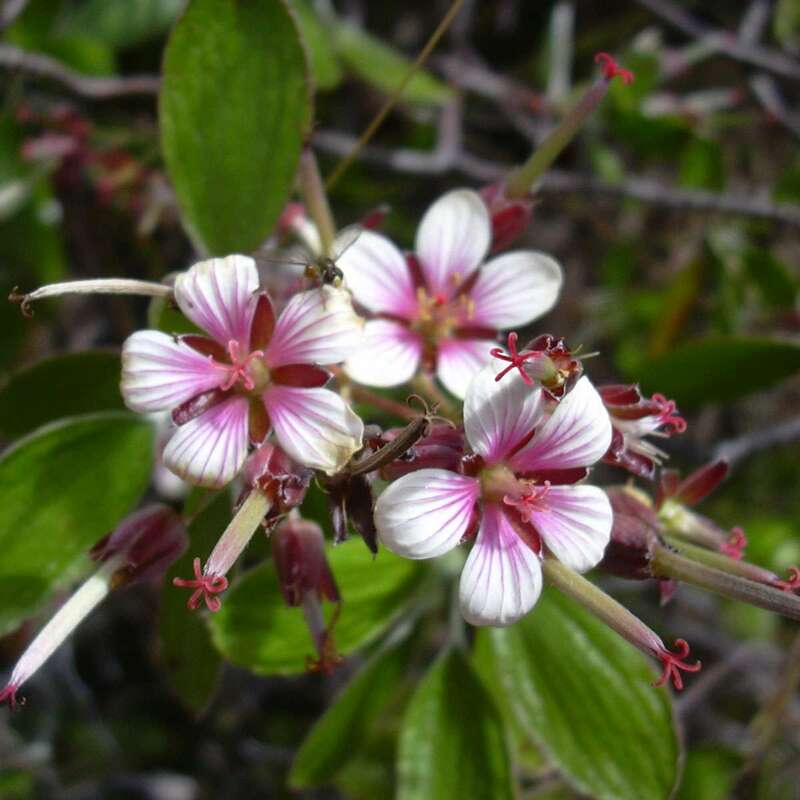 The plant is pollinated by the native Hawaiian yellow-faced bee and can grow to be nearly 10 feet tall. 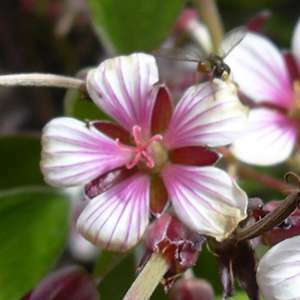 It is one of four species of Hawaiian geraniums in Haleakalā National Park that are found nowhere else on earth. Nohoanu lives primarily within wet forests but also grows in a variety of other habitats, including high-elevation grasslands, swamps and lava flows. It can be found at elevations ranging from 5,000 to 8,000 feet. When the nohoanu was listed as an endangered species in 1992, there were only 11 known populations on the island of Maui with fewer than 3,000 total plants. By 2010, the population had dropped to 600 plants. Destruction by feral pigs and goats is an ongoing threat to nohoanu, as is competition from nonnative plant species, especially blackberry plants. The main components of the recovery plan include maintaining control of the feral pigs and goats and the competing invasive plants that serve as the largest threats to the nohoanu. Haleakalā National Park staff have also been collecting, propagating and reintroducing the plant into the park.